Yes, I’ve told you many times before how much we love literature around here. While I do teach geography through maps, quizzes and games, the best way to make a real connection to the maps and their culture is through really good books. 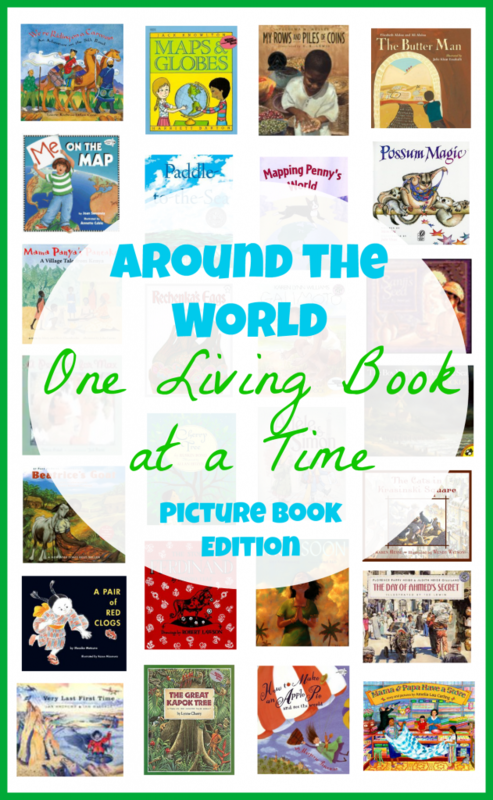 While there’s no way for me to list each and every geography-themed picture book we’ve ever enjoyed, I have listed many, many of our favorites below. Remember, a good living book places you in the time or culture. For that reason, you’ll only find a handful of books that purposely teach facts about geography. That’s okay, as long as you’re pointing out the places on a map or making some other map connections, your children will absorb the culture and more than just a knowledge of where in the world a place is on the map. Enjoy elementary geography with these fantastic selections! Looking for geography lesson ideas? We’ve been all over the world this year! Looking for living literature for other subjects? I know you’ll love the rest of the series of posts! Thankyou for this long list. I’m just starting to switch to living books from text books and this will be so helpful. That is a great list. I wonder how many I can get from the library in the next couple of weeks. The books remind me when I was a librarian teacher. I wish i could read them to my kids. What a great bless it would be. Thank you for sharing. Great list! Thank so much for making it available. Some other possibilities: The Big Wave (Progeny Press study guide also available), A Single Shard, The Master Puppeteer, The Endless Steppe. For Europe: I, Juan de Pareja (Spain), Gaudenzia Pride of the Palio (Italy). The Pacific: Island of the Blue Dolphins. These would all be for upper elementary or older. What a great idea ti connect geography with literature! I’m pinning this. I just wanted to take a minute to let you know how much we have appreciated this list of books! My husband and I have enjoyed these books just as much as our children (ages 4-8). Thank you so much for putting such a thoughtful and thorough list together. Truly wonderful books!! Thanks for a terrific list! I’m recommending the list, and I’m linking these books to our art lessons. This is wonderful! I’m definitely going to share with my friends at TheUnpluggedFamily.com! Thank you, Cassandra! We had so much fun with these books. Love the list! Thank you for taking the time to share. I noticed it said, “Picture Book Edition” – does that mean there is an edition for older students? I just now found this. So great. We are planning a trip to Europe and we will focus on those books for now. Thanks for your hard work in putting this together. This list is amazing! The timing of finding this is perfect! We are getting ready to study David Livingstone next and Africa with it! Now I have a huge list of books to go with our study 🙂 Thank you! We love David Livingstone’s story! I know you’ll have so much fun learning all about Africa, too! What a wonderful list! Pinned. The Australian books mentioned here are good. If you can get audio versions it’s great to hear the real accent. Are we there yet? Comes with audio and I highly recommend. Any Alison Lester books are GREAT. My kids prefer Aussie literature over anything else and I read with the old school real Aussie accent including colloquialisms when appropriate which even they don’t understand at times. I am in the middle of using this list with my 7, 5, and 3 year olds. Excellent books! Very fun for them as they learn their continents and basic geography and so much more! 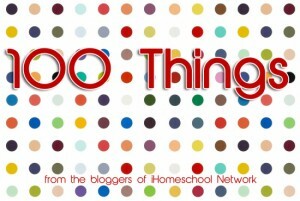 Thank you for this list and for sharing your homeschool experience on your blog! Amy, I’m so glad the books are a blessing to your homeschool! 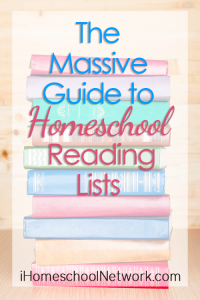 We has so much fun reading through this list, too. This list is simply delightful. Our family is using it to ‘tour the world’ this year. Do you have any similar suggestions for India and the Middle East? Delighted to see my book Gauchada on your list! One lovely thing you can do around it is to have readers create something, perhaps a special necklace, to gift another. The book is about a necklace crafted by a gaucho that is passed from hand to hand to hand, but it could be anything. The idea is to create something that can’t be bought or sold but only given, an unexpected gift/act of love. You’re welcome, it was indeed my pleasure. Always a ZING to see one’s books still making their way in the world. Thanks for noticing.